What is Osteopathic Manipulative Treatment? Campbell University School of Osteopathic Medicine will host the Annual Resident Regional Research and Education Symposium on this date. Review the submission guidelines and participation requirements here. You can access the Abstract Submission Form here. The deadline for poster submissions is December 31, 2018. 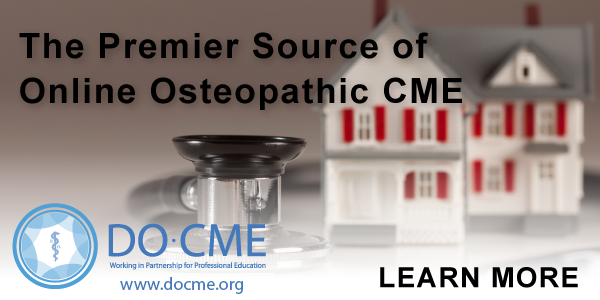 The DO CME Education Center provides on-demand programs, webinars and live educational opportunities addressing a broad spectrum of topics for osteopathic physicians. Learn more here.